United States winger Megan Rapinoe made Olympique Lyonnais even stronger this winter and she speaks to UEFA.com about Thursday's Stamford Bridge final and life in France. Olympique Lyonnais were already the dominant team in European women's club football when, in the winter, they signed two of the biggest names in the world game – United States winger Megan Rapinoe and Japan forward Shinobu Ohno. Of the two, Rapinoe has made the bigger immediate impact scoring in their UEFA Women's Champions League quarter-final against FC Malmö and again in their last-four defeat of FCF Juvisy Essonne. As the final with VfL Wolfsburg at Stamford Bridge on Thursday approaches, the 2011 FIFA Women's World Cup finalist and 2012 Olympic gold medallist talked to UEFA.com about adapting to France, how Lotta Schelin compares to Abby Wambach and the profile of this tournament in the US. UEFA.com: What have been the main differences between playing professionally here and in the US? Megan Rapinoe: Your whole life is here, with the club; you live in the city that you play in, and it's for such a longer period of time you can actually settle in. I played three seasons back home in the pro league that we had, but I never really lived in the cities, I lived there for five or six months at a time. It's much more enjoyable, in that sense, that you can go to your job, come home, and then you have your whole life here, which is really nice. UEFA.com: What were your motivations for joining Lyon this season? Rapinoe: To get to play with arguably one of the best teams in the world, the best club teams, it's kind of a no-brainer. I think when they showed interest and I showed the interest back, it was a mutual thing. And to be able to play in the Champions League is something that is huge for me; we don't have that back home, we didn't really grow up with that dream. Obviously I'm a huge fan of it, and to be able to come in and play in the big games and have that experience has been unbelievable. UEFA.com: What have been the key areas for Lyon's success this season? Rapinoe: The team is unbelievable, every player is amazing, there are so many good players sitting on the bench. But I think Patrice [Lair], our coach, does a good job of never letting us think: "Oh, we're just so good." He always wants the best out of us, no matter if we're winning 10-0 or it's 0-0 at half-time. I think that he really pushes us. UEFA.com: How is the French coming along, and does it present a barrier when you are on the pitch? Rapinoe: It's sort of coming along! It's pretty difficult. I'm not in proper lessons or anything, so if I come back for another season I'll definitely be getting lessons. On the pitch, a lot of people speak English so that helps, but I think I've learned the key terms, the key phrases on the pitch that I need. And a lot of times even if someone says something where I don't know exactly what they're saying, usually the tone and the situation, I can figure out that I need to get back in defence, or something like that. UEFA.com: Abby Wambach frequently benefited from your crossing ability; Lotta Schelin is only half a centimetre shorter and is no slouch in the air herself – is this a partnership made in the stars? Rapinoe: Yes, I think so! I think that in the short time we've played together we've built a pretty good connection. We're friends off the field as well and she speaks really good English, so that's obviously very helpful. But she's such a good forward, she makes really smart runs. She plays how I would want to play if I was a forward, so I think we're kind of on the same page a lot. She doesn't quite have the prowess that Abby does in the air, but I think she's much quicker and finds herself in front of goal in different ways. UEFA.com: What threat do Wolfsburg pose? Rapinoe: I think in general the German style is going to pose a different threat than we've had all season. I think the French league isn't as physical, which kind of allows us to be a little bit more technical, but I think that the German team and just the German style in general will bring much more fight, which I think can be pretty disruptive to our game. Hopefully not too disruptive. UEFA.com: What about the stadium, Stamford Bridge? Rapinoe: In the last two years, with the World Cup in Germany, getting to play in those stadiums, then [the Olympics] I played in Old Trafford, I played in Wembley, playing at Stamford Bridge – I couldn't even have dreamed this three years ago. To be in the Olympic final, in the World Cup final, and now playing in the Champions League final, how am I ever going to top this? It's pretty cool that we're able to play in these historic stadiums in some of the biggest games we'll ever play in. UEFA.com: How is the profile of this competition in America? Rapinoe: I think it's becoming a lot bigger, especially with more Americans coming over here; me and Tobin [Heath] are in France right now, and there are a few others all across Europe. So I think it's becoming much bigger in the US. A few years ago I think people knew about it, but it wasn't as popular. But now I think everybody knows about it, and the games can be streamed online so people are able to watch them. It's pretty cool to kind of have that dialogue with the fans back home. Olympique Lyonnais aim to become the first team to win the title three years in a row as they face competition debutants VfL Wolfsburg. 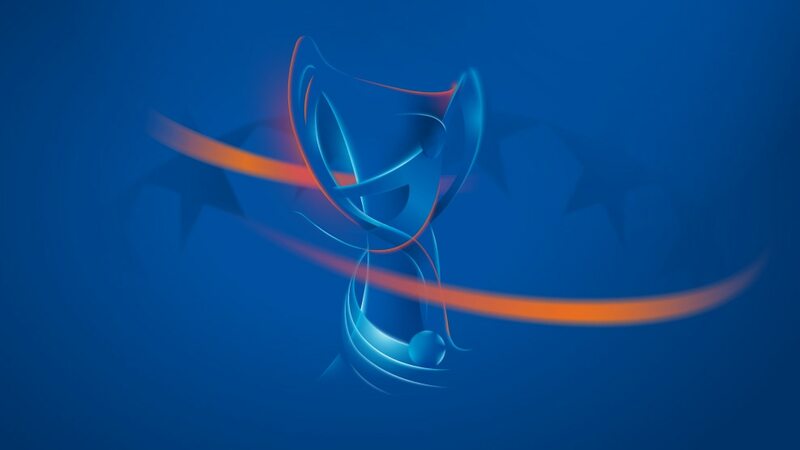 UEFA.com has all the match facts. Lotta Schelin promised that holders Olympique Lyonnais will "do everything we can to bring the title home to Lyon again" after booking a ticket to the final at FCF Juvisy Essonne's expense. Verena Faisst will miss Thursday's final against Olympique Lyonnais after being diagnosed with glandular fever, "a massive loss" said VfL Wolfsburg coach Ralf Kellermann. FCF Juvisy Essonne 1-6 Olympique Lyonnais (agg: 1-9)Lotta Schelin struck twice and substitute Laëtitia Tonazzi did likewise as the holders breezed into the final.